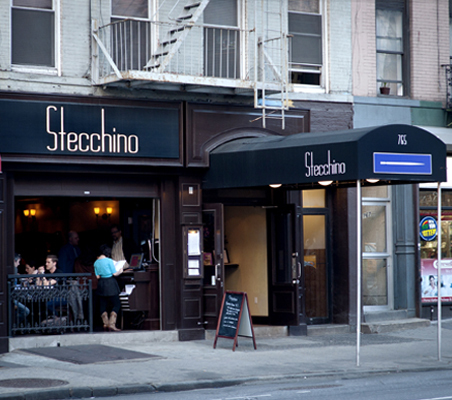 We were having dinner at Stecchino’s on 9th Avenue in New York, a lively group of eight who were attending the Writer’s Digest Conference. With the agent Pitch Slam behind us, the tension of the past two days was finally wearing off, aided by wine, laughter and crab cakes. I shouldn’t have been surprised. George and I had already talked at length about my book, and his enthusiasm was contagious. But this was the first personal comment he’d made on the subject. I’ve interviewed a number of men for my book, with more to talk with in the coming weeks. When I first started, I assumed that it would be like pulling teeth to get men to talk in any detail about friends who had died. I couldn’t have been more wrong. The first man I interviewed actually asked to talk to me, when a friend told him about sharing her story. We met in his favorite bar, which turned out to be the place he and his friend had spent a lot of their free time. I pulled out my list of questions – about 30 – hoping that the answers would take more than 15 minutes. Ninety minutes later, we were still on question #3, although his story had covered most of the rest of the list. Conventional wisdom dictates that women’s friendships are more important than men’s; that women are more willing to talk about their feelings. I was certainly guilty of believing that. But the willingness of men to bare their souls about their friends has been a revelation to me. Being one of those eight post-pitch writers, it does not surprise me George was so forthcoming. Bravo to men who open their hearts. 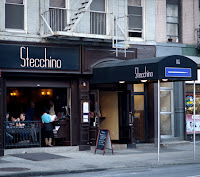 I was lucky enough to sit next to Victoria Noe that wonderful evening at Stecchino's. I'm George. Losing "Bugsy" just before our 30th birthday DID change my life. And the lives of dozens of friends and family. It was devastating, and yet it catalyzed incredible growth for most of us. My subsequent marriage, professional changes and relocation from Paris/Rome/NYC to the Adirondacks all have roots in the death of my best friend. Out of grief evolved shifting priorities and clarity. Out of death came renewal and passion for life. Thanks, Victoria, for helping me tap into this powerful experience. I can't wait to read your book!